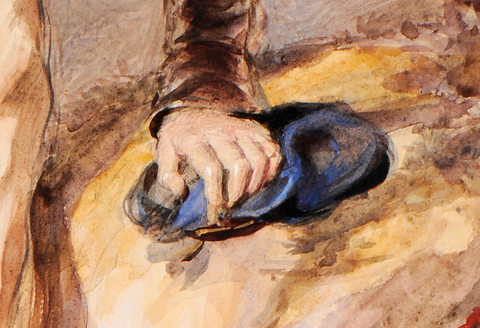 Signée and dated (in gold) "RICHMOND 1835", 37 x 26 cms (14.6 by 10.3 ins), watercolour. 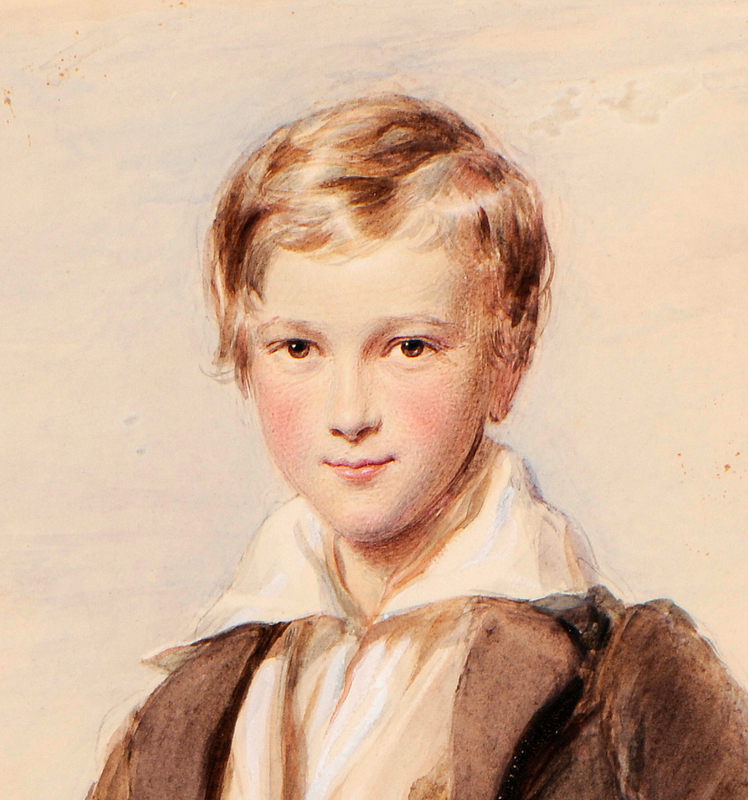 The sitter, Richard Hoare was born in 1824, son of the banker Samuel Hoare (1783-1847) and his wife Louisa née Gurney (1784-1836). She was a daughter of John Gurney a Quaker and partner in Gurney's bank. She grew up at Earlham Hall, Norwich. Her siblings included the prison reformer Elizabeth Fry (1780-1845) and John Joseph Gurney (1788-1847) the influential and equally committed social reformer. Louisa Hoare held enlightened views on the education of children, which she practiced and published. Wilberforce, Wordsworth and Sir Thomas Fowell Buxton were some of the eminent visitors to the family's Hampstead home. Richard Hoare, an 'India Merchant' married in 1861 Susan Tomkinson and lived at Marden Hill, Hertfordshire and North Lodge, Cromer. He died in 1901. The present early sensitive portrait of the eleven year old Richard Hoare is one of five or six of the Hoares and their children that Richmond painted in 1835-36. The present work is listed in his "Index Catalogue", compiled by Raymond Lister; see his George Richmond, 1981, p161, No 140.